Poppy may have inherited the family’s magical powers, but she would rather be a baker. How can she avoid the family business? Includes more than a dozen delectable recipes!Ten-year-old Poppy, born to ordinary parents, inherits her famous Great Aunt Mabel’s genes—GAM was a famous witch. In Poppy’s world, witches work for good and are much valued, with powers both coveted and praised. But Poppy does not want to be a witch—she wants to be a baker, and she is extremely good at baking. Her parents insist Poppy follow in the footsteps of her great aunt, but Poppy has plans of her own. Part magic, part adventure, and wholly delicious, this spirited story includes more than a dozen recipes readers—and budding bakers—can try at home. I had so much fun reading this book with my seven year old daughter. The Power of Poppy Pendle is not only a delightful read, but it's filled with magic, adventures and a growing character and so much more. My daughter and I took turns on reading each chapter before bed. This book had her wanting to bake more and more. Definitely a great read for those little girls that absolutely loves baking in the kitchen with mom or their Easy Bake Oven. 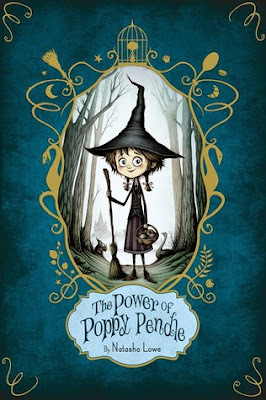 I not only loved how much my daughter enjoyed the book, but I absolutely adored Poppy! This teaches young girls all over that you can do anything you put your mind too and that anything is possible. Never give up on your dreams. A message all little girls and boys should know. Very inspiring and motivating. We also loved that after this story there are tons of recipes for you to create in your own kitchen, this inspired my little one even more. Definitely will be baking some of these soon. Disclosure: All opinions are my own. I received The Power of Poppy Pendle at no cost for the purpose of this review. No other compensation was received.